"People say figure skating is the gayest sport but I think it's football." 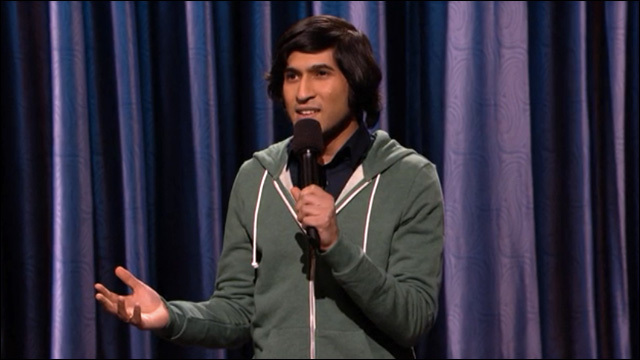 Last Comic Standing alum Aligon Mitra was a guest on Conan Monday night with a funny short set joking about, among other things, the Pope, "gay" sports and so-called "first world problems." He says he doesn't know why people complain about first world problems; after all, that's where he lives. For more information on Alingon Mitra, check out his official website.